“We tried to run together in small teams, to inspire courage in one another. He who was surprised in an ambush, was killed; he who twisted his ankle, was killed; he who was caught by fever or diarrhoea, was killed. Every evening, the forest was strewn with dozens of the dead and dying." 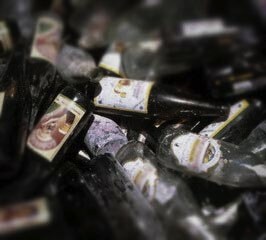 “Many foreign journalists say that beer and such things played a decisive role in the killings. This is correct, but in a way completely different to how they imagined it. In a certain way, many amongst us owe our survival to Primus and we should thank it. The killers would turn up sober in the morning to start killing. But in the evening they would empty more Primuses than usual, to reward themselves, and that would soften them up for the next day. Edward saw bodies in the river on the way to Kigali. 'There is lots of them,' he says. When children try to sell us fish, Edward says not to eat them. 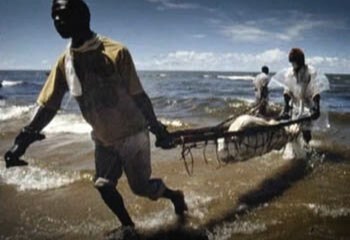 They come from Lake Victoria and the fish are said to be feeding on corpses. 'Not nice to eat, bad luck to eat,' he says, smiling.